Modern Inventory Management Software for High-Growth Brands. It helps you sell efficiently across multiple channels, respond quickly to operational demands, and control your inventory from one place. Connect your StitchLabs account to Inventory Planner and empower you with the set of planning tools and analytics. 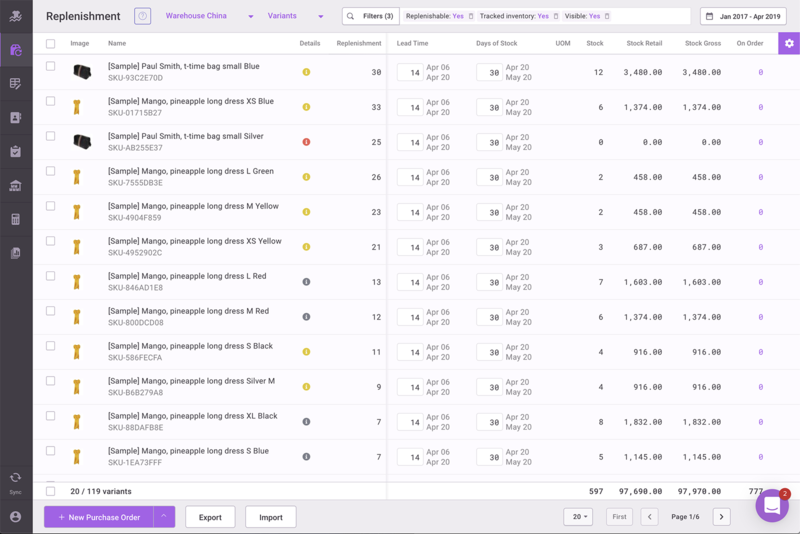 See replenishment suggestions for products and create purchase orders with right products and quantities in one click. Purchase Orders will be created in your StitchLabs account automatically. 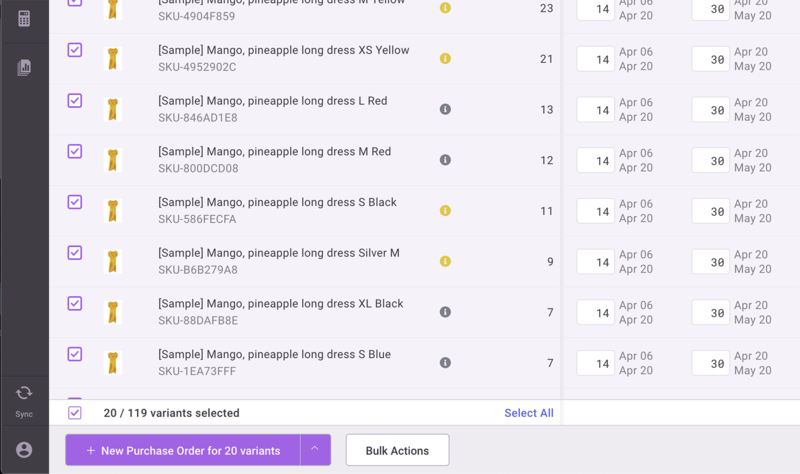 Changes to your purchase orders in StitchLabs is synchronized automatically with your Inventory Planner account to maintain accurate replenishment suggestions. Create an account in Inventory Planner. 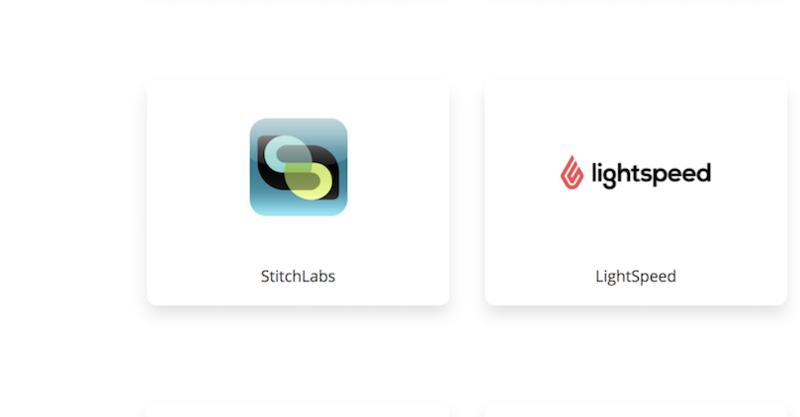 Choose your platform as StitchLabs and click "Sync" button. First time it can take a while to compute replenishment suggestions for all your products. You will receive an email when your data is ready. Use replenishment suggestions to generate purchase orders. Once a purchase order is created in Inventory Planner it automatically appears in your StitchLabs account.